Come along for this enchanting ride…. 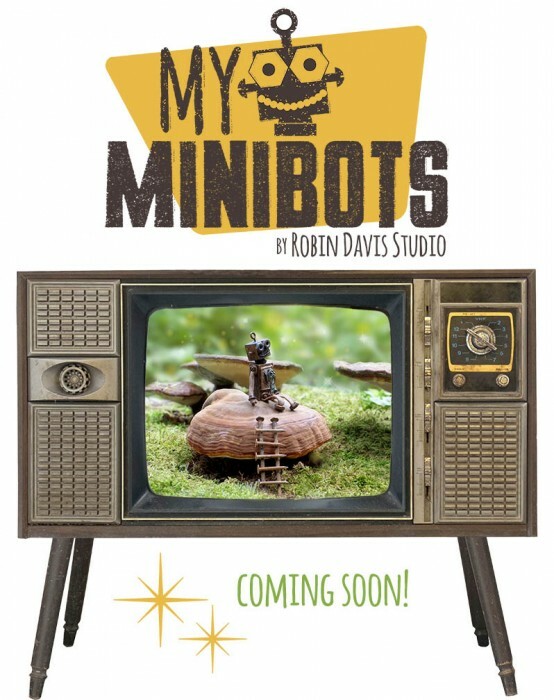 You can explore this magical miniature world of My Minibots. Tiny retro styled robots who have infiltrated Robin’s Studio. 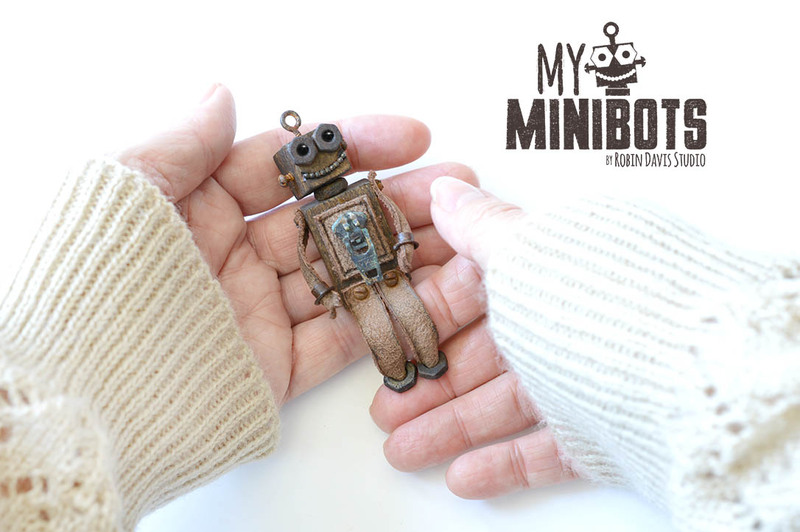 Each Minibot is only 3 inches tall, handmade by Robin Davis Studio. Each minibot is One of a Kind, even though they look similar in style and creation, they acquire their own little personalities! 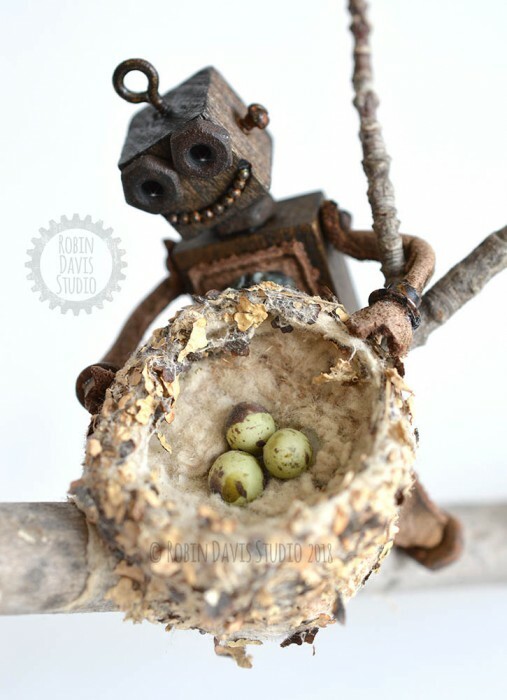 Carefully constructed with aged details, Robin announces rare batches of Minibots in her Etsy shop a couple times a year. 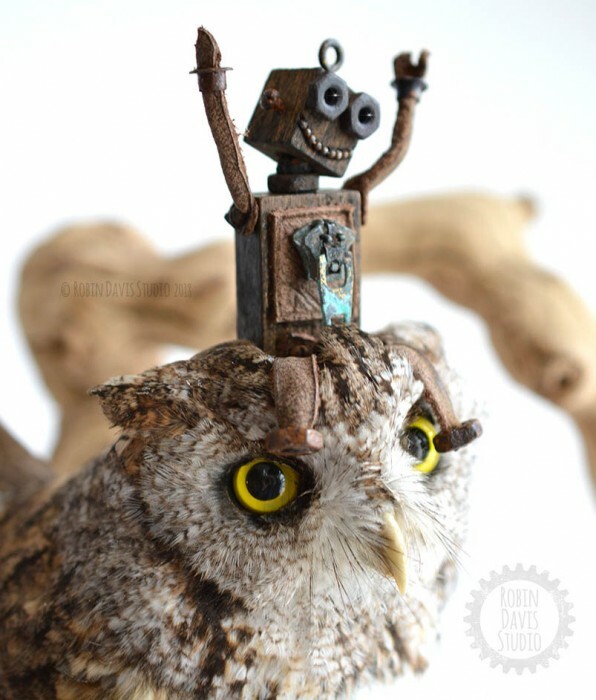 She is currently working on “My Minibots” stories and adventures along with a series of magical items to accompany the world they live in! Guaranteed to make you giggle!